For over 100 years, Hallmark has been helping people enrich their lives and enhance their relationships. Hallmark is with you at holidays and any-days...best known for greetings cards, but they're much more than that. Products include gifts, wrapping paper, Keepsake Ornaments and decorative items for the home. Treasure your memories with memory-keeping picture frames, albums, scrapbooks and so much more from Hallmark Gold Crown! Visit our website at www.hallmark.com. National Gift Card is the best place for you to order Hallmark cards in bulk. We are the experts in all things gift cards and can set up your gift card solutions program for you today. Please contact us for more information on Hallmark bulk, direct-to-recipient, or individual gift card fulfillment for your gift card program. Contact us here or call us at 888-472-8747 today! 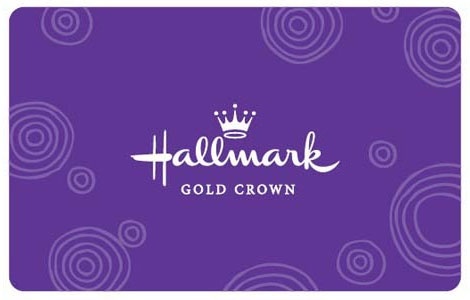 Your Hallmark Gold Crown Gift Card may only be used for making purchases at participating Hallmark Gold Crown Stores. Except where required by law, it may not be redeemed for cash. If lost or stolen, report this card number to a participating Hallmark Gold Crown Store to obtain replacement for value remaining at time of report. You may check your balance at participating stores.